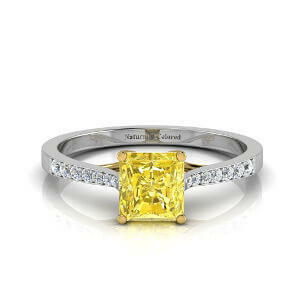 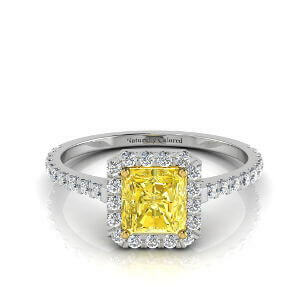 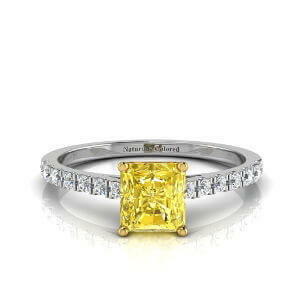 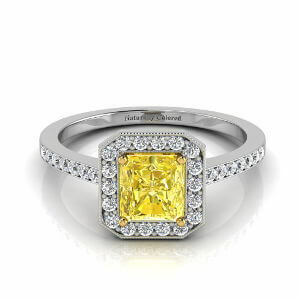 Weighing in at almost a carat, the radiant shape of this yellow diamond has echoes of the princess or emerald cut. 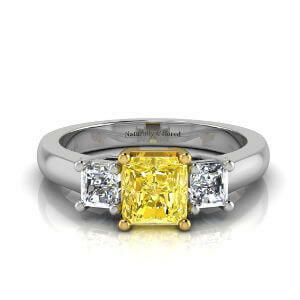 With VS2 clarity, it is perfect for mounting in a ring. 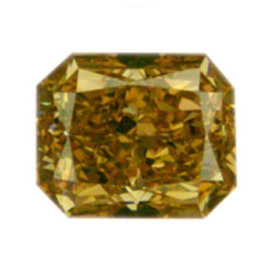 Its radiant shape matched by its radiant and deep brown and orange secondary hues. 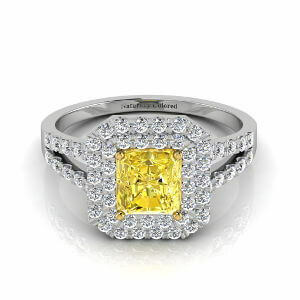 The dimensions are 5.60x4.62x3.52.